Ski boot lamp one of a pair. 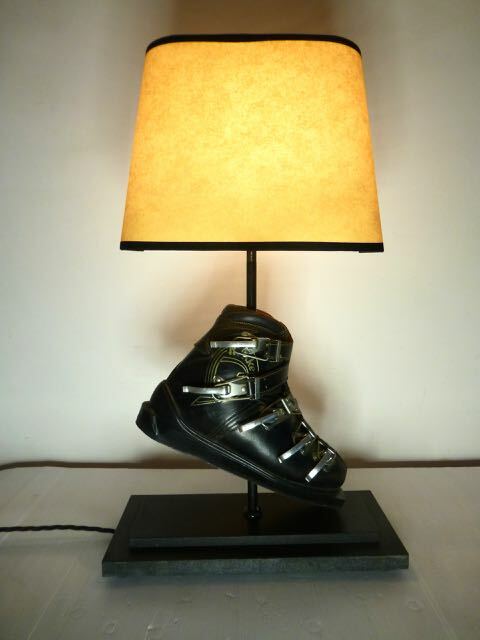 Description: Pair of 1960s old leather ski boots now re-crafted into a pair of table lamps at £295.00 each. Shades are extra.